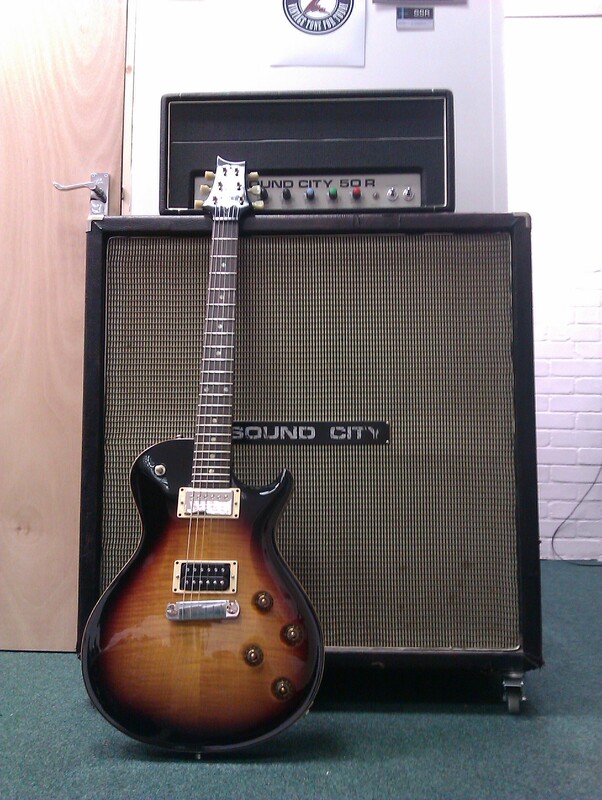 2008 PRS 245 SC, with Sound City 50W half stack c1976. The PRS has just been fitted with a pair of Tremonti pick ups. The guitar sounds and plays superbly. The Sound City amp is a rare MkIV 50W model, with reverb. It is very loud, with lots of clean headroom. This amp arrived in very good shape, needing only a new set of valves and replacement capacitors to restore it to full health. The 4×12 cab is loaded with Sound City branded drivers, and sounds great.